Map of Napa Valley, California. Illustration by Jeff Quinn. At about one-sixth the size of Bordeaux, Napa Valley is a relatively small but diverse region. The area’s topography has many dips and peaks, ranging from sea-level valley floors to mountain vineyards with elevations that rise up over 2,000 feet. There is extraordinary diversity in the region’s soils. Studies have shown that Napa Valley contains more than 100 different maritime, volcanic, and alluvial soil variations. Climatic conditions fluctuate dramatically throughout the region’s 30-mile stretch, particularly during the summer when there can be a 10º to 15ºF difference from one end of the valley to the other. While Napa Valley is mostly known for its prodigious Cabernet Sauvignon production, growing conditions are favorable for a wide range of grapes, from warm-weather varieties like Cabernet Sauvignon, Merlot, and Sauvignon Blanc to cool-weather ones like Chardonnay and Pinot Noir. Located about 50 miles north of San Francisco, Napa Valley’s southern end starts in its namesake city of Napa. Winds from San Pablo Bay and the Petaluma Gap help keep this end of the valley fairly cool. 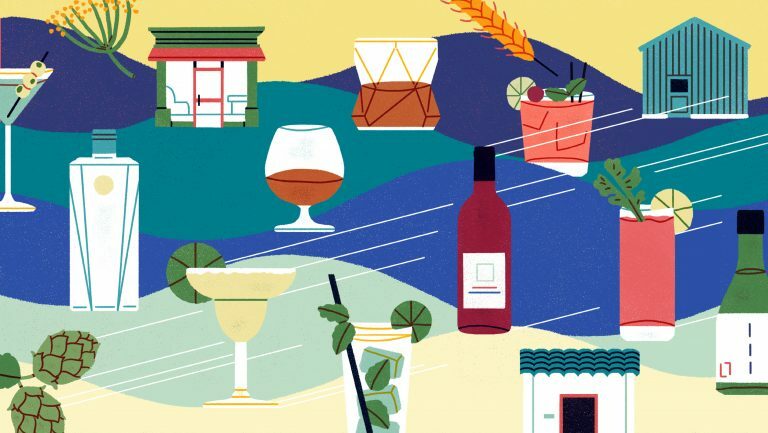 From there, the wine region runs northwest about 30 miles to the town of Calistoga, where summer days can sizzle and reach temperatures of 100ºF or higher. 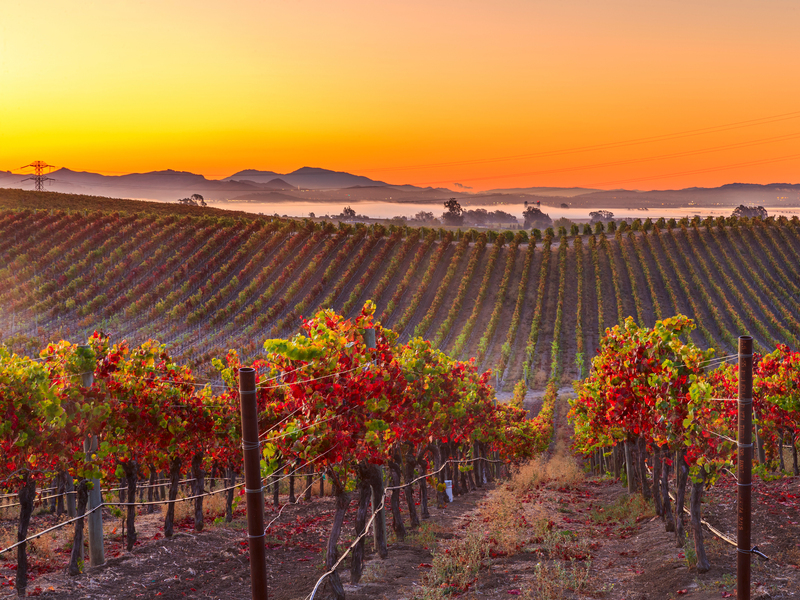 Napa Valley is sandwiched between two mountain ranges: the Vaca to the east and the Mayacamas to the west. 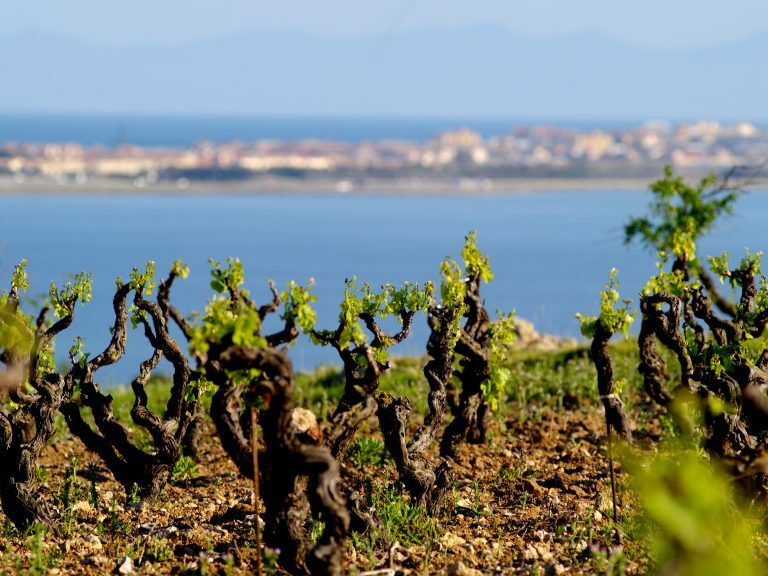 In addition to providing an array of aspects, elevations, and slopes for grape-growing, these mountains play an important role in influencing climatic conditions. 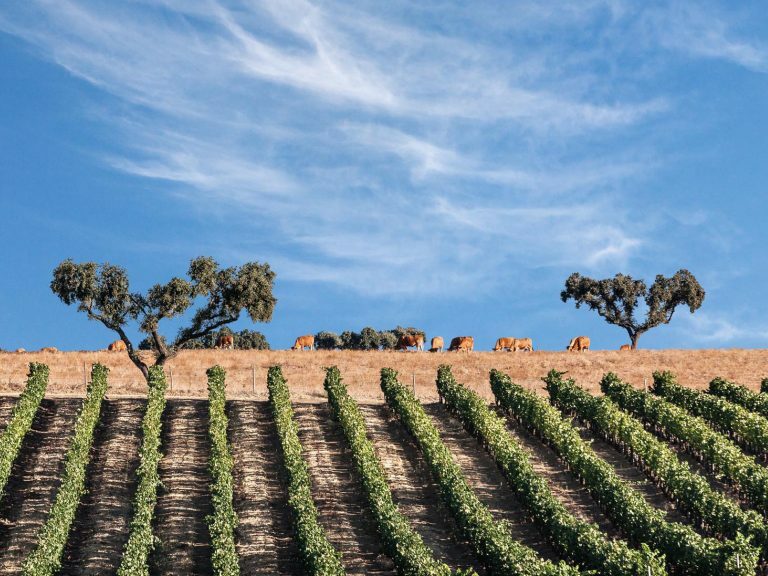 The Vacas help protect vineyards from the intense heat of the Central Valley in the east and the Mayacamas help block cooler marine influences from the Pacific Ocean in the west. Napa’s climate zone is Mediterranean. The area sees long, hot, and dry summer days with cool evenings. Similarly, there are warm, dry days and cool nights in the autumn. Winters are typically mild with rainfall. Spring is temperate with a rainy period early in the season. There are also varying microclimates throughout the valley. Fog is a climatic factor that affects the way that grapes ripen in this region. On summer evenings, it rolls in from the Pacific through mountain gaps, blanketing valley floor vineyards. It burns off late in the morning or early afternoon when temperatures on the floor begin to heat up. In some areas of the valley, the temperature can vary by as much as 40 degrees in a given day. Other areas don’t see much fog at all. The region’s complex soil patterns range from gravelly loam and clay to thin, rocky soils. More than half of the soils that exist on earth can be found in the Napa Valley. Studies have identified 33 soil series with more than 100 different variations. For many, the most memorable moment in Napa Valley’s historical timeline is the 1976 Judgment of Paris in which 1973 vintages of a Cabernet Sauvignon from Stag’s Leap Wine Cellars and a Chardonnay from Chateau Montelena beat their French competitors in a landmark blind tasting competition. Not only did this epic win put Napa Valley on the world wine map, it changed the course of history for underdog wines around the globe. But Napa Valley had a history of wine long before that. It started in the 1830s and ramped up around the time of the Gold Rush. 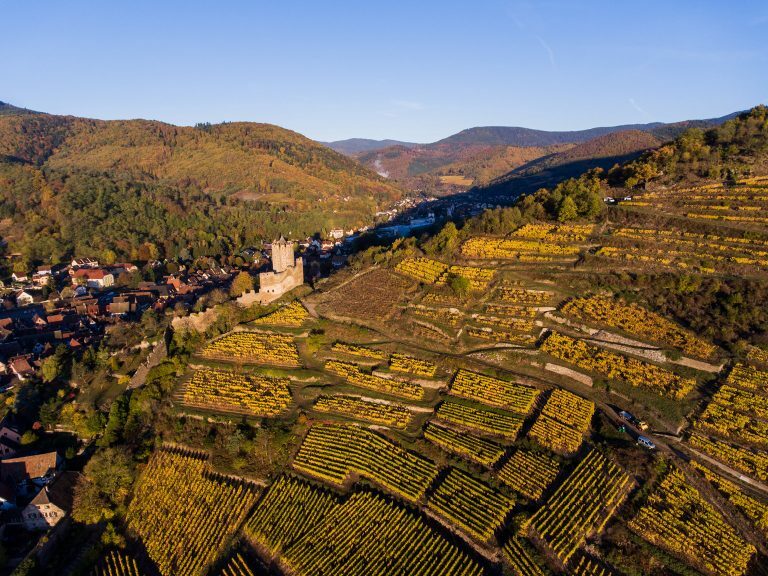 By the 1860s, some of the wineries that still exist today were up and running, including the first commercial winery, which was established by Charles Krug, and the Schramsberg and Beringer wineries. Between 1880 and 1919, Napa Valley winemakers continued to work the land and their wines gained prominence, despite a devastating bout with phylloxera in the early part of that period. The Great Depression and Prohibition were the next setbacks. But by 1933, Napa Valley wine country was back on track, and the next generation of winemakers was leading the way. André Tchelistcheff of Beaulieu Vineyard, Robert Mondavi, and Joe Heitz went on to evolve the technology, quality, and reputation of winemaking in Napa Valley. In the 1970s and 1980s, the region went from having fewer than 20 wineries to 10 times as many. In the 1990s, it solidified its reputation as a luxury wine and tourism destination. Napa continues to expand and prosper today. The AVA system in the United States focuses on geographical designations, microclimates, and historical distinction. If a wine is labeled as AVA, 85 percent of the grapes used must come from that AVA region. Monovarietal wines must contain a minimum of 75 percent of the varietal from that AVA. 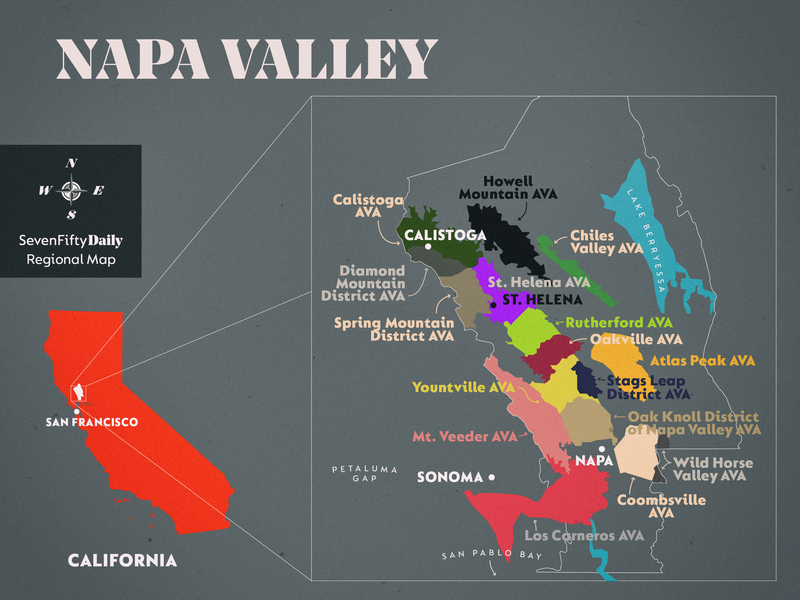 With regard to Napa Valley, the AVAs break down a bit like Russian nesting dolls. This is one of the four major appellations of California’s winegrowing regions. Napa Valley falls within the North Coast AVA (as do Sonoma Valley, Mendocino and Lake counties, and parts of the counties of Marin and Solano). There are about 800 wineries in this AVA, which amounts to nearly half of all wineries in California. Napa Valley offers an expansive portfolio of still and sparkling wines made from more than three-dozen varieties. There are 700 grape growers in the region. In 2011, Napa Valley produced nearly 76,000 hectoliters of wine. This variety is practically synonymous with Napa Valley. There are 18,200 acres planted with Cabernet Sauvignon vines, which make up 60 percent of the region’s overall wine crop. Descended from Cabernet Franc and Sauvignon Blanc, this grape thrives in Napa’s warm Mediterranean climate, but styles vary significantly. When grown in hillside vineyards, this variety yields robust, full-bodied wines with concentrated flavors, rich tannins, and deep color. Wines originating in valley-floor vineyards are typically medium-bodied, with mellower tannins, and less concentrated flavors than those from higher altitudes. Cabernet Sauvignon from this region typically shows black fruit notes like blackberry, black cherry, and blackcurrant with additional violet, mint, and herbaceous flavors. New oak will also contribute woody cedar and vanilla notes. Young Napa Cabernet Sauvignons can be smooth and potent; they can also age into profoundly elegant wines. In Napa Valley, 7,300 acres are planted with Chardonnay, making it the region’s most widely planted white grape—and its second most commonly planted variety altogether. An ancient grape descended from Pinot Noir and Gouais Blanc, Chardonnay is known for its exceptional ability to take on the characteristics of its terroir. 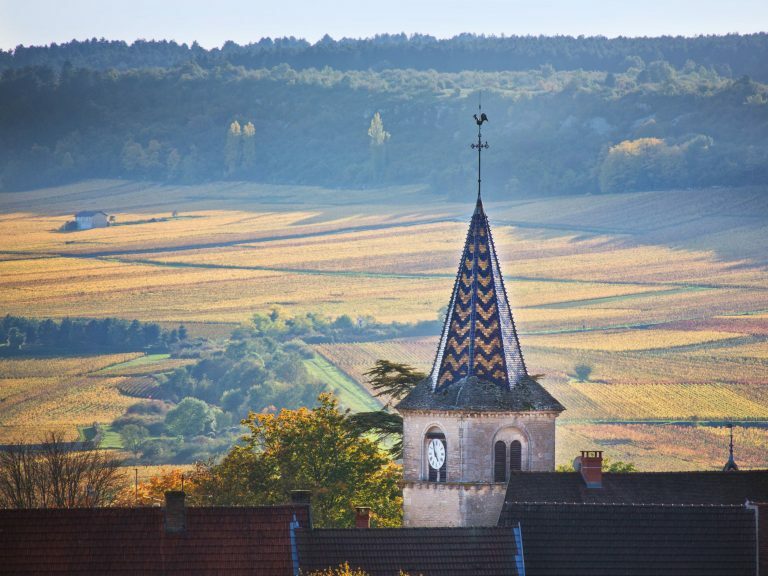 It thrives in the calcium-rich soils and cooler climates at the southern end of the valley, where it yields a broad spectrum of wines that range in style from rich, round, and opulent to lean, crisp, and zippy. Napa Valley has developed a reputation for turning out complex, age-worthy Chardonnays. The most prominent style in the region is creamy, supple, and full-bodied with ripe tropical fruit and citrus flavors and Napa’s signature notes of butter and toasty oak. Other styles may yield lighter wines with brighter acidity. They may also show more citrus, peach, pear, or apple notes with hints of caramel, vanilla, brioche, or hazelnut. Since the 1970s, Merlot has traditionally been used as a blending wine in Napa Valley. Its soft tannins, juicy cherry flavors, and herbaceous notes make it an ideal partner for Cabernet Sauvignon. However, Merlot gained recognition as a monovarietal wine in the 1980s and remained extremely popular for about a decade. No longer as trendy, Merlot still holds its own in Napa. Its best expressions result in wines that are deep in color with soft, velvety tannins and notes of black cherry, black currant, plum, dark chocolate, cedar, and espresso. This aromatic parent grape of Cabernet Sauvignon is increasing in popularity. Together with Chardonnay, it represents more than 90 percent of Napa Valley’s white grape plantings. Wines from northern areas of the valley typically show melon and other tropical fruit notes, while those from the south are more likely to exhibit grassy and herbaceous flavors. In general, Sauvignon Blanc tends to give light- to medium-bodied wines with vibrant acidity. In a rebranding effort in 1968, Robert Mondavi created a double-identity for Sauvignon Blanc. As a result, the varietal also goes by the name Fumé Blanc in Napa Valley. The classic Fumé Blanc style features additional characteristics from oak aging. Napa Valley’s third-most-planted red grape can be difficult to cultivate, as it requires particular conditions to thrive. It does well in the region’s cooler microclimates, especially in the Los Carneros AVA, where it’s vinified for both still and sparkling wines. Cool maceration is often employed to help extract color from Pinot Noir’s thin skins. The wines are brightly acidic with fine tannins and mixed red and black fruit flavors. Some styles show violet or cedar notes and a spicy character. There are many other varieties that can be found growing in Napa Valley, including Zinfandel, Syrah, Cabernet Franc, Malbec, Petit Verdot, Petite Sirah, Syrah, Sangiovese, Chenin Blanc, Riesling, Muscat, Viognier, and Pinot Gris. What’s Happening Today in Napa Valley? These days, 9 percent of Napa County is under vine. The region is home to 475 wineries and 95 percent of them are family-owned. The wine industry produces more than 1,000 different brands of wine and generates approximately $50 billion in annual revenue. Producers remain devoted to their signature Cabernet Sauvignon and Chardonnay wines. They continue to create many of the highest quality and most collectible wines in America. But Napa also has a long history of being a hotbed for experimentation. This legacy endures with the numerous winemakers who are bucking tradition and cultivating less common—and sometimes downright obscure—varieties, like Albariño and Charbono, alongside more traditional ones in their vineyards. 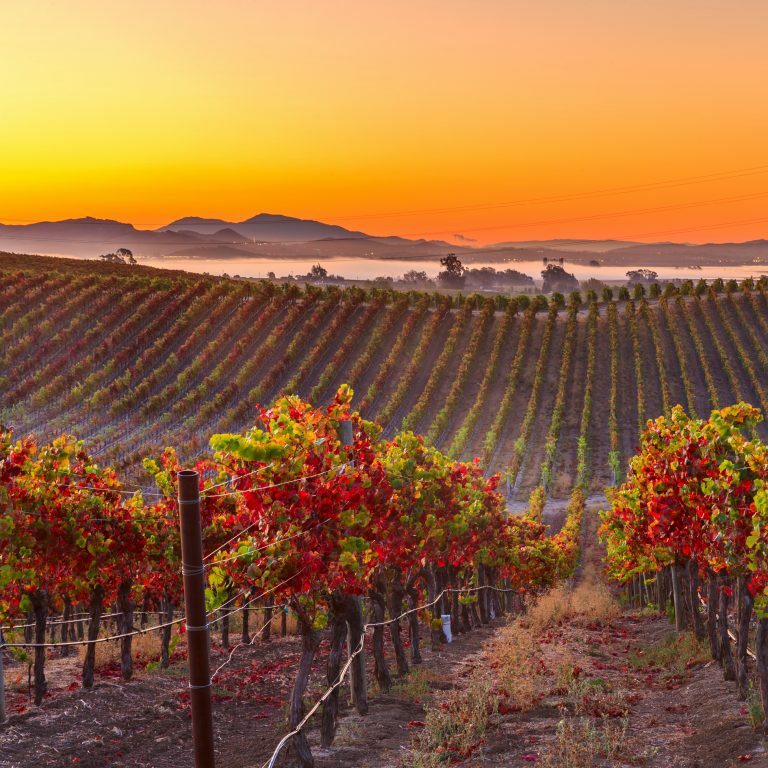 Napa Valley is also a leader in environmental efforts to protect its land through sustainable agricultural practices, conservation easements and other land preservation programs, and green business practices in the wineries. Nearly 90 percent of Napa County is under protection from development. Each year, Napa Green certified wineries produce more than 7 million cases of wine. The recent legalization of recreational cannabis in California is bound to have an impact on Napa Valley—and the state’s wine industry at large. Cannabis growers are already making land grabs all over Northern California. Meanwhile, some winemakers are considering the financial benefits of adding marijuana to their agricultural products. While competition is likely to crop up as the two industries vie for consumer attention, seasonal workers, and real estate, there are also opportunities for collaboration. Expect to see marijuana-infused wines coming onto the market as well as wine and weed pairings and marijuana tourism staking a claim in wine country.